For centuries the early church wrestled with the question of Jesus’ identity, trying to grasp the mystery Scripture reveals – namely, that Christ is truly human and truly God, one person with two natures. Surrounding this paradox are other seemingly contradictory images of Jesus’ person and work – images that Sylvia Dunstan explores in this thoughtful text. The confessions make it clear that the ascension of Christ opened the door to the rule of his kingdom. This fact is comforting to those who love him and is a fearful threat to those who despise him. The response therefore is praise and adoration from people of faith, and resistance from those who reject him. It is no wonder that those who despise him join together to conspire against him, for Christ’s aim as Lord is to “destroy the devil’s work…every force which revolts against you and every conspiracy against your holy word” (Heidelberg Catechism, Lord’s Day 48, Question and Answer 123). to sense the majesty and mystery of your ascension. Through Jesus, our Lord. Amen. perceive the beauty and glory of your sovereign rule. discover the beauty and power of your ongoing prayer for us and with us. Amen. and honor and glory and praise! for ever and ever!” Amen. the Lord of glory, Jesus Christ, sends his greeting to you. This is the greeting of Christ, who arose from the grave. He died and rose that we might have eternal life. All thanks be to him! This same Christ has ascended to the Father. He ascended that we might experience God’s presence and power. All praise be to him! was taken up from the earth into heaven. Christ is true human and true God. he is never absent from us. Christ is our advocate in heaven in the presence of his Father. will also take us, his members, up to himself. 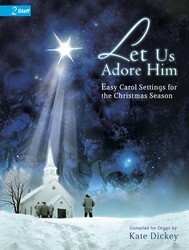 Christ sends his Spirit to us on earth as a corresponding pledge. the one through whom the Father rules all things. in our place and removed the whole curse from us. into the joy and glory of heaven. for the order you give to creation . . .
for your sovereign rule over the nations . . .
for your faithfulness to your church . . .
for your lordship in our lives . . .
and caring even for what we might count as insignificant. We pray in your name, O Christ, our sovereign servant King. Amen. as a sign of love, devotion, and praise. we acknowledge that you are our Lord. ~from In Search of Hope & Grace: 40 Hymns and Gospel Songs by Sylvia G. Dunstan, GIA Publications, Inc., pg. 44, Used by Permission. After a brief, arduous battle with liver cancer, Canadian Sylvia Dunstan died in 1993 at the age of 38. For thirteen years, Dunstan had served the United Church of Canada as a parish minister and prison chaplain. She is remembered by those who knew her for her passion for those in need, her gift of writing, and her love of liturgy. PICARDY is a French "noel," a carol tune thought to date back to the seventeenth century. The tune was first published in Chansons Populaires des Provences de France (vol. IV, Paris, 1860); the melody was written down as sung by a Madame Pierre Dupont in Champfleury-Wekerlin to “Jesus Christ s'habille en pauvre,” a folk song she remembered from her childhood in Picardy, an old province in northern France. 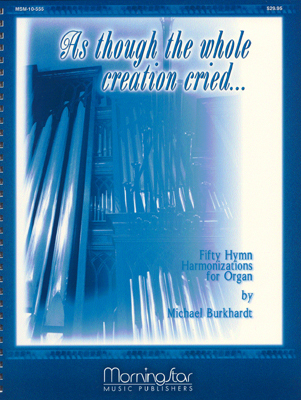 PICARDY was first published with "Let All Mortal Flesh" in The English Hymnal (1906).